Whiting are found along the entire east coast of Australia. They are usually caught in estuaries, coastal lakes, rivers within tidal range and off the beach. So if you live on the east coast of Australia you have no excuse for not catching a few of these tasty silver torpedoes. 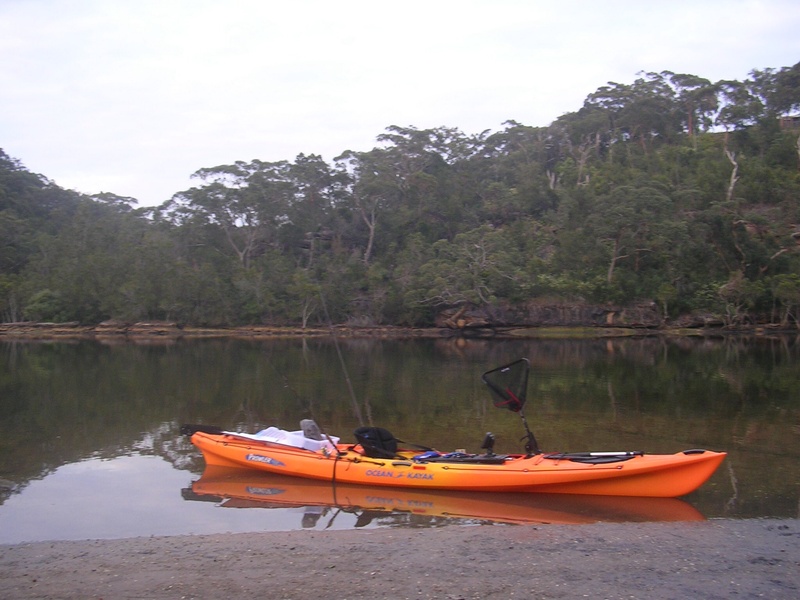 I do most of my whiting fishing from a kayak in estuaries and rivers. I look for sandflats with lots of yabby and worm holes because whiting love to forage through the sand for them. It is worth exploring an estuary or river system at low tide to identify prime areas. I have found the best lure fishing months are December – February. The water is warm, metabolisms are firing and the spawning season is in full swing. The whiting become aggressive feeders and perfect targets for a well presented lure. When fishing the sandflats I have found the first few hours of the run-in tide to be the best. I have caught whiting in less than a foot of water over the flats, as they forage over newly submerged territory. This is the prime time for surface lures because the fish are actively feeding in concentrated areas. As the tide rises the fish spread out and are more difficult to locate. Low light conditions are best for flats fishing, with dawn being the best in my experience. When the sun rises, whiting tend to move to deeper water, where they can still be tempted with soft plastics and vibes. Kayaks are a stealthy and effective way to explore sandflats . For my style of whiting fishing, a 7 foot rod and a 2000-2500 size reel is ideal. My favourite rod is a light 2-4kg model. For surface lure fishing I use 4 pound mono straight through. I switch to braid and fluorocarbon leader when fishing with crankbaits, soft plastics and vibes. 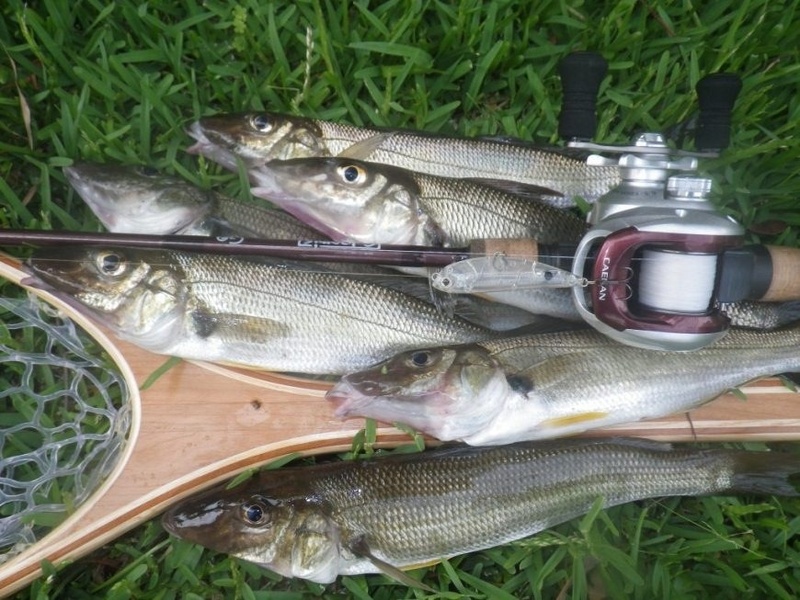 One of my ambitions is to catch whiting on my six weight fly rod, using small popper flies. I have seen it done so I know it is possible. I just need to master the art of fly fishing from a moving kayak with limited casting ability. I’m not holding my breath. Ten years ago, all of my whiting fishing was with bait. In estuaries and from the beach, I fished a simple running rig and used bloodworms, beachworms, yabbies or pipis as bait. Fishing light was important, only using enough weight to get the bait to the bottom. I still use bait when beach fishing but spend most of my time chasing whiting in estuarine systems with surface lures. My preference is for stick baits of around 70mm, in clear or natural colours. Soft plastics like the ever reliable Squidgy Wriggler (80mm) as well as worm patters are effective in deeper water, as are vibes. I have caught whiting on crankbaits but have found it to be less reliable. A feed of whiting taken on a surface lure at first light. For surface lure fishing, the most important technique is to keep that lure moving. Whiting lose interest when the lure stops, as opposed to bream that will frequently smash a stationary lure. After I cast the lure, I let it sit for a few seconds to give any inquisitive fish time to swim over. Then I retrieve at walking pace and use my rod tip to depart a darting action. If you can make your surface lure look like a prawn skipping over the surface, you will be in business. The hook-up ratio is better when you keep the lure on a straight path, so I choose surface lures with actions that enable this style of retrieve.